In 1882, Northwest Grange erected this two-story wooden frame structure northeast of the intersection of Ohio Route 49 and County Road P-50 in Northwest Center/Cooney. The first floor was occupied by general stores with the Grange hall on the second floor. The historic structure is today unoccupied and has fallen into disrepair. 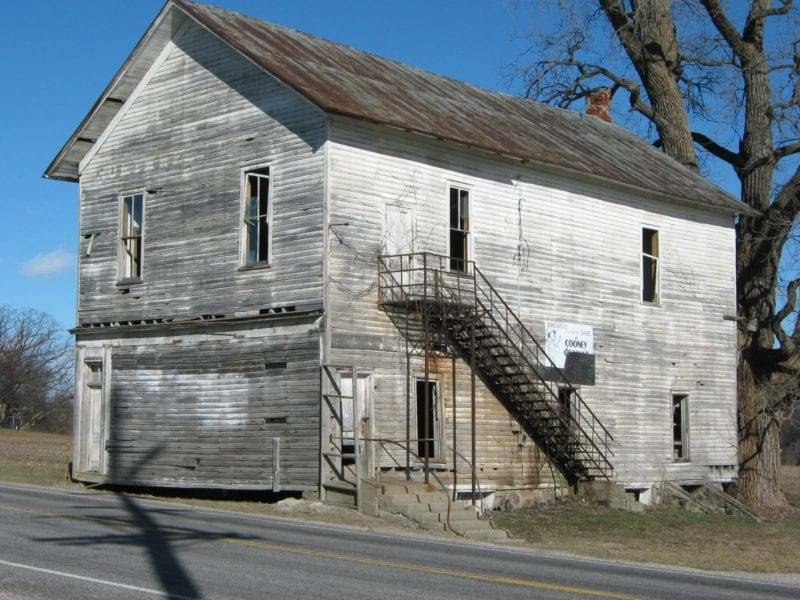 This February 3, 2017 photograph of the former Northwest Grange hall is from the Kevin Maynard collection–Courtesy of the Williams County, Ohio, Local History Exchange. Be the first to comment on "(1874) – Northwest Grange No. 413, Williams County’s First Grange (Northwest Center – Cooney, Ohio)"